This is what I am shooting after, the early bird thingy. Back to normal. ES at 12 was about 2333. Two hours later 2339 or plus 5 for the lunch hour trade. bear flag never works. bear flag never works. I'll write ten thousand times. the low should be in for today. I am bearish on financial, sideways to down on a daily time scale. Who can trust the bank these days? under the mattress is the safest place for your cash. No.7. Markets are strongest when they are broad and weakest when they narrow to a handful of blue-chip names. 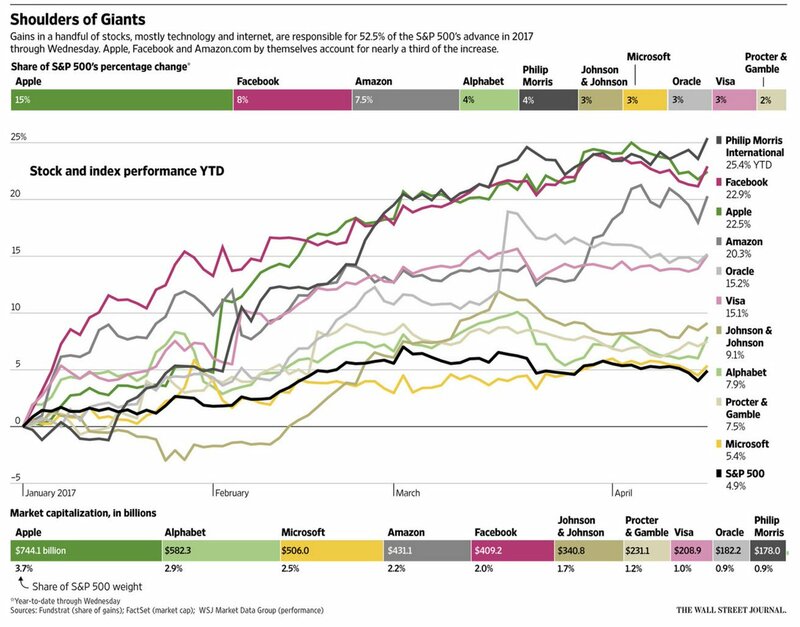 10 Mega caps account for most of S&P year to date gains. Sideways trend-less this is not getting easier for bulls either. Chart for the road: Accum/Dist is still positive, this got me to be hopeful for da bull move, but price pays, so far it doesn't. Peace! well, guess that's it for today. Wednesday tomorrow has been generally bull friendly. thank you guys, I'll see you tomorrow. before the close, please take a little time to vote for me, thanks.